Other items that people wish to have delivered to students that do not traditionally go through a mail provider (such as flowers) get delivered to the Student Life Office in O'Connell 208 and then the student is notified to pick it up. Due to our safety and security policies, we do not allow these vendors to deliver to student rooms. 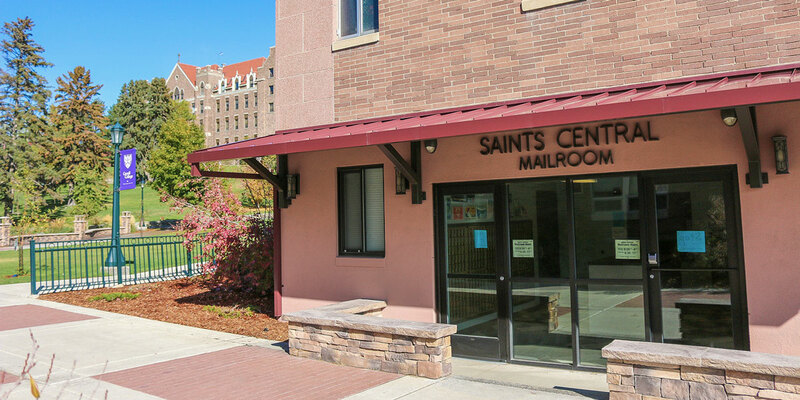 UPS and FedEx deliver to students' doors, but USPS deliveries need to be picked up at Saints Central mailroom (as we must sign for deliveries). The Mail Center is located at the west end of Borromeo Hall. It is open Monday-Friday from 8:30 a.m. - 4:00 p.m. and Saturdays from 8:30 a.m. - 11:00 a.m. Students have swipe access to their mailbox 24/7. The mail center also provides mail services, stamps and some supplies (envelopes, boxes, etc.). For questions about our Mail Services, please contact the Coordinator of Mail Services, Paul Smetana at (406) 447-5477 or psmetana@carroll.edu.